Leadership skills are not just important in the world of business, but can also be applied to other disciplines including science, mathematics, and the arts. 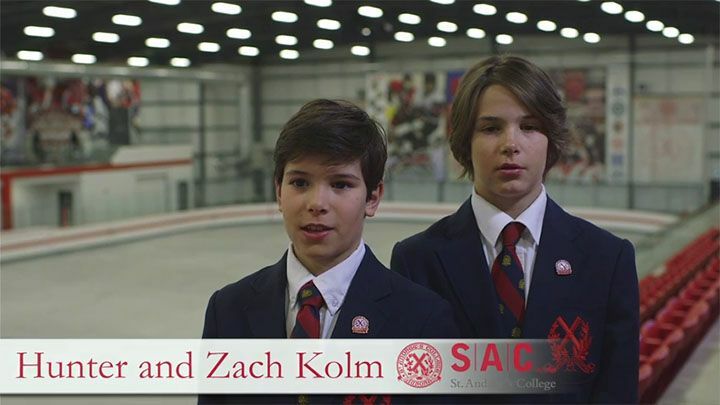 While the development of strong leadership skills among SAC students has always been a priority, it has recently become a prominent area of focus within the Business Studies program. Through the design and implementation of the McEwen Leadership program in 2007, St. Andrew’s is now poised to educate a future generation of leaders and successful St. Andrew’s alumni. 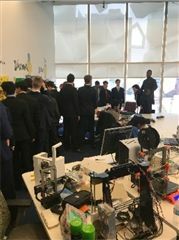 The program is designed to incorporate leadership principles into a variety of business disciplines, while providing experiential learning opportunities for students through all grade levels in the Upper School. This entrepreneurial-student leadership program is the personal vision of alumnus Rob McEwen ’69, Chairman and CEO of McEwen Mining Inc., and founder and former Chairman and CEO of Goldcorp Inc., which is the world’s second largest gold producer based on market capitalization. Rob followed his father into the investment industry and also developed a passion for gold. In 1990. Mr. McEwen stepped into the mining industry, where he transformed Goldcorp from a collection of small companies into a mining powerhouse. Since 1993, when Rob started re-structuring Goldcorp, the company's market capitalization has grown from $50 million USD to over $8 billion and its share price has increased at a 31% compound annual growth rate. Rob believes management should be as personally invested in a company as its shareholders, and as such he owns 25% of McEwen Mining Inc. and receives no salary. After graduating from St. Andrew's College, Rob earned a B.A. from Western University and an MBA from the Schulich School of Business. He also holds an Honorary Doctor of Laws Degree from York University. Rob is a member of WPO, the Canadian Council of Chief Executives and the Dean's Advisory Board, Schulich School of Business. Rob's philanthropic efforts are designed to encourage excellence and innovation in health care and education. Mr. McEwen has donated in excess of $25 million over the past few years including: $20 million to establish the McEwen Centre for Regenerative Medicine at the Toronto General Hospital; $1.5 million to Schulich School of Business; $1.0 million to the Red Lake Margaret Cochenour Memorial Hospital, Red Lake, Ont., and $0.7 million to two museums and a church. On July 3, 2007 Rob was appointed to the Order of Canada, the country's highest civilian honour. Rob’s commitment to support leadership education extends back to his days as a student at St. Andrew’s, and he has endowed a chair in leadership studies through an original contribution of $500,000. This generous gesture is also unique, as it is the first endowed academic chair in the history of St. Andrew’s. For more information about the McEwen Leadership program, please contact Sean Ludwig, Course Director. ﻿The McEwen Leadership Fundamentals (IDC3O) class recently travelled to Toronto, Ontario for a culminating class field trip. 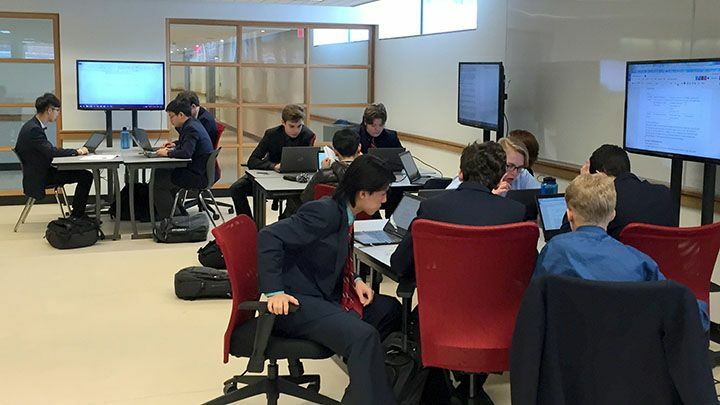 On Monday, May 7, the brightest business minds from the grade 10 Introduction to Business class sections competed in the finals of the McEwen Leadership Case Study Competition. After two weeks of fundraising, the 2018 SpringSmash Fundraising Campaign has surpassed $13,000 and we are almost at 50 per cent of our goal. Helping Aurora children take their dream to a team is the goal of SpringSmash 2018, a fundraiser organized and run by grade 12 McEwen Leadership students. 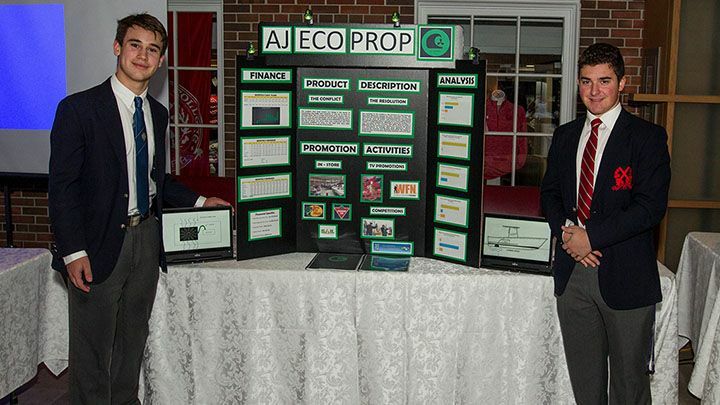 On Monday, the grade 12 McEwen Leadership class held the eighth annual Entrepreneurship Fair in Staunton Gallery. 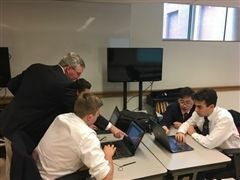 Grade 12 Business Studies students in the McEwen Leadership Program have been hard at work this past week preparing for applying their business knowledge to the real world. Grade 11 Business Studies students in the McEwen Leadership Program recently completed a two-day leadership workshop at Camp Arowhon, Algonquin Park.